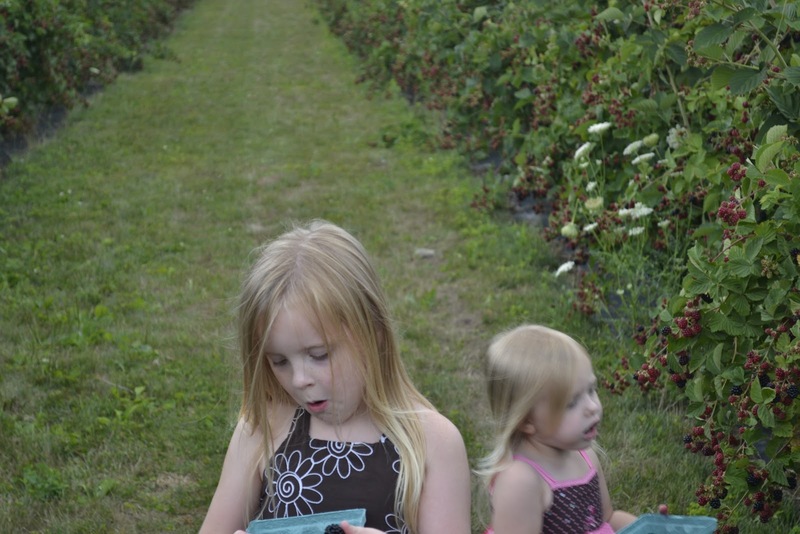 Today we decided to go blackberry picking at Blue Frog Farm (owned by Lynd's) and then to the Farmer's Market at Lynd's Fruit farm. The girls had a blast. It was early afternoon and we had beautiful weather. I think the girls ate as much as we put in the quarts. Here's some fun blackberry pics. 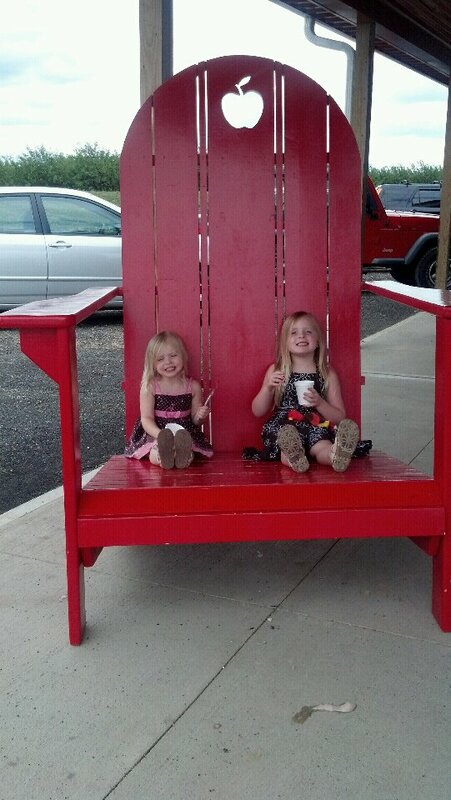 The girls in the Giant Red Chair outside of Lynd's. They are enjoying some Fresh Peach Cider Slushies. YUM! This is how we spent our Saturday. How did you enjoy yours? 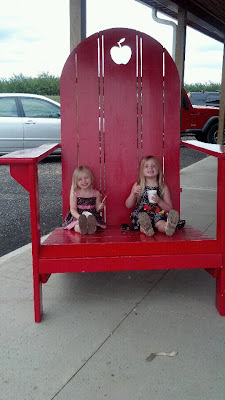 Oh my goodness I love the giant chair! So cute! That looks SO fun. I may have to plan some berry picking soon. Stopping by from the Monday Mingle hop! Looks like your family had a great time! 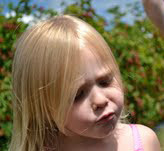 I also love taking my kids blueberry picking. Following you via Monday Mingle, please follow back if you have a chance! 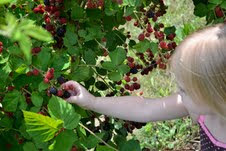 Aw I love berry picking! Super cute pictures of your girls :) Makes me want to go and sneak a berry!!! New follower from the blog hop! Excited to hear more from you. Hello. Just wanted to stop by to let you know that I've chosen you for the Liebster Blog Award. Thanks so much for stopping by the Momma Mar's Activity Corner Link Up! 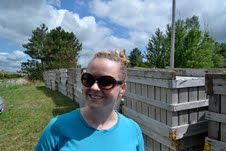 I hope you’ll come visit me at jugglingactmama.blogspot.com too! I'm the only non-berry eater in our family. I can't wait for apple picking that starts in a few weeks. That's my favorite. Thanks for stopping by! This brought back memories of my childhood! 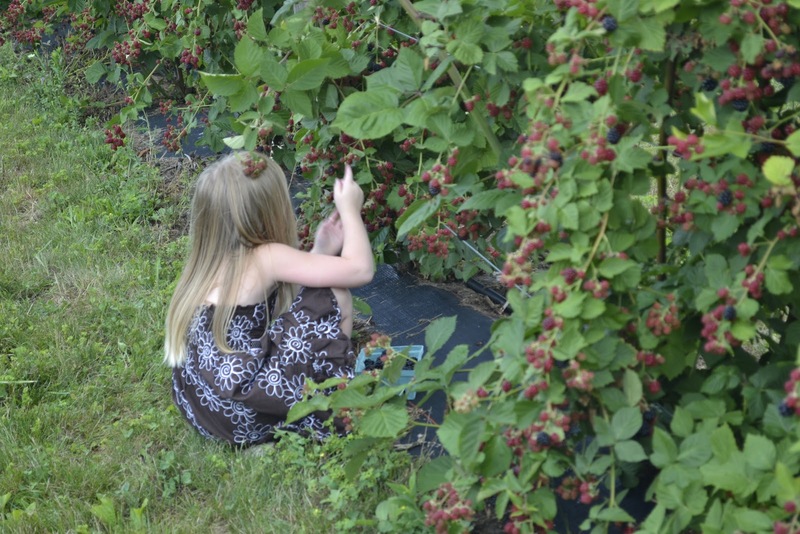 I remember picking berries with my family when I was a kid. I am your newest follower via GFC. I found you over at the Blog Hop. I'd love for you to check out my blog and follow back. Thanks for linking up with me today. Can't wait to see what you have to share next week! Cute pics :) That peach cider slushie sounds yummy! I'm a new follower from the Mommy Brain Mixer link-up. New follower-- I found you through the less than 300 followers blog hop. Love the pictures of you picking berries. 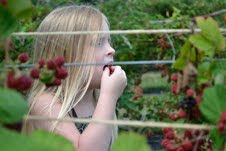 I love pick your own farms and every year we do strawberries, blueberries and peaches (except this year-- I had foot surgery and can't get out to the fields and all the peaches were wiped out here).